By Wolsey Ltd. Size 2 (measures about 19" pit to pit). 1941 dated. 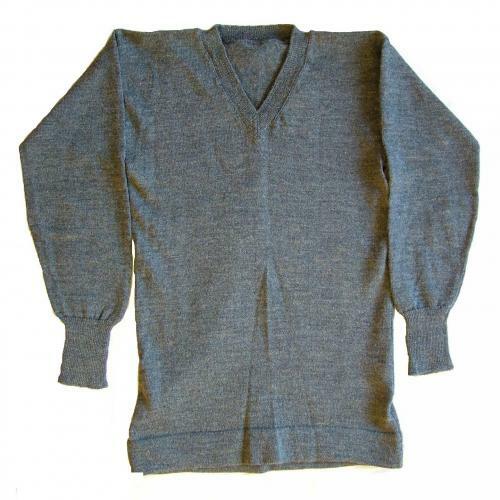 Blue-grey 'V' necked long sleeved woollen sweater. Aside from a few small pulled threads/small moth holes that are hardly noticeable, this is in excellent barely used condition. Lovely King's Crown Air Ministry label with a clear date and the original owner's service number. Extremely rare, we have had just three of these in the last 25 years. Stock code U21765.